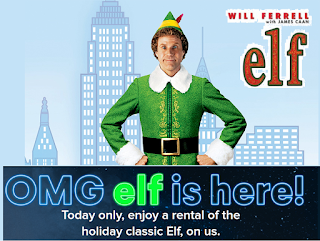 Free ELF Online Movie Rental. Add to your account today and you then have can start it any time in the next 30 days. Once you start you have 24 hours to watch it. ALSO GET MORE FREE MOVIES AND SHOWS!!!. See my post here for Free HBO, Starz, Cinemax, Showtime, Lifetime, Hallmark and much more.